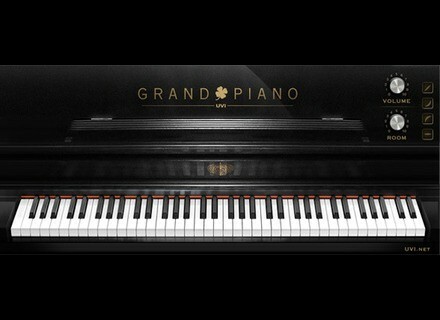 UVI Grand Piano for Mac, Virtual Acoustic Piano from UVI. UVI Grand Piano lets you plug a MIDI keyboard in your computer and you're ready to play a Steinway Model D Grand Piano. UVI Instruments are well known and have been used by many professional musicians and producers for more than a decade thanks to software like MOTU MachFive, Ethno and BPM, Spectrasonics Stylus and Atmosphere, UVI Workstation... to name a few. Super easy to use and great sounding instrument. Low Memory usage thanks to lossless realtime decoding : only 400 MB for a 3 GB source. Available now at the Apple App Store for a special introductory price of $29.99 / € 23.99. Sonic Charge Bitspeek Sonic Charge has launched Bitspeek, an effect plug-in that will make you sound like a robot. Psychic Modulation Dubtron Psychic Modulation has released Dubtron, an Experimental Bass Synth designed for dubstep wobble bass, and more obscure bass sounds. Platinumloops Pop Vox - Acapella Samples Platinumloops recorded Acapella from eight vocal artists for Pop, House and RnB.